The art, debates and activism at Roskilde Festival have all revolved around equality for the past three years. The Equality programme is meant to inspire festival-goers to take a stand and broaden their mind, and 2018 will be no different, glowing with activist enthusiasm when the American activist Chelsea Manning visits Northern Europe’s biggest festival. It will be her first European performance since her commutation in 2017. Chelsea Manning – then known as Bradley Manning – was sentenced to 35 years in prison in 2013 after leaking classified documents related to the United States’ warfare in Afghanistan and Iraq. One of the last presidential acts of Barack Obama’s tenure was to shorten Manning’s sentence. Chelsea Manning has identified as a woman since her release and is an active part of the fight for public transparency in a digitalised world as well as transgender rights. 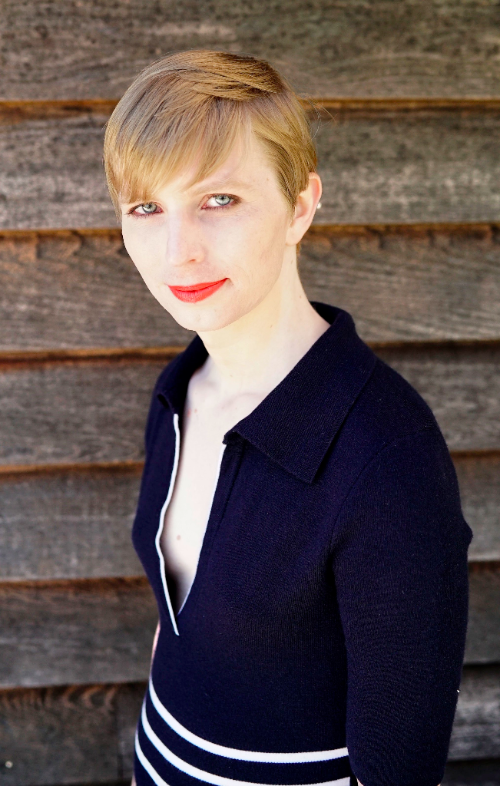 Chelsea Manning will talk about activism and making a change in the world on Thursday 5 July. Whereas Chelsea Manning uses her story and words as her weapons of choice, popular street artists ±Maismenos± and Bankslave show their dissatisfaction with global inequality through visual works in the public space. Their works will have key locations at the Danish festival, making them a big part of the visual experience for the 130,000 festival-goers. New music additions today also reflect the activist ethos. Uncompromising Danish acts Ond Tro, Nyt Liv and Motorsav (Bad Faith, New Life and Chainsaw, respectively) show exciting new paths for punk in Denmark. Roskilde Festival has already announced acts such as Eminem, Gorillaz, David Byrne, Cardi B, Mogwai, St. Vincent, Fleet Foxes, Stormzy, First Aid Kit and Khalid for the 2018 edition that will include a total of 175 music acts. Many more will be announced soon, including headliners and stars of tomorrow from all over the world. Roskilde Festival is 100 % non-profit. All profits are donated to cultural and humanitarian purposes by the Roskilde Festival Charity Society. It’s right next to the Danish capital of Copenhagen, also the distance to the nearest international airport (Copenhagen Airport). With more than 175 music acts in the line-up performing on eight stages and over 100,000 passionate music lovers gathered for a full week, Roskilde Festival is among the most unique music festival experiences in the world. A position the festival has held since the early 1970s. This entry was posted in NEWS and tagged Chelsea Manning, Roskilde Festival 2018. Bookmark the permalink. ← How could a museum lose an 83,000-pound Richard Serra sculpture?